The Olsen Twins, creators of that delicious line The Row, won the CFDA Womenswear Designer of the Year award (or would that be Designers of the Year?). Either way, tremendous nod from the fashion world powers that be to the ridiculously creative twin set! KUDDOS! Gucci bought a horse! 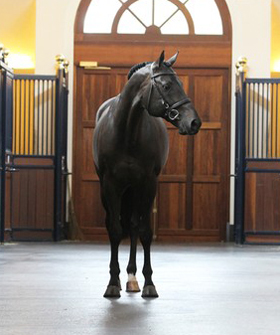 Not just any horse – a horse with bananas pedigree and even offers Olympic competitor promise. The stallion’s name was Vleut when purchased by the Italian house of gorgeousness, (for some reason I think Veuve Cliquot but that is another story). Now the name is GUCCIO, named after Guccio Gucci the design house’s founder. 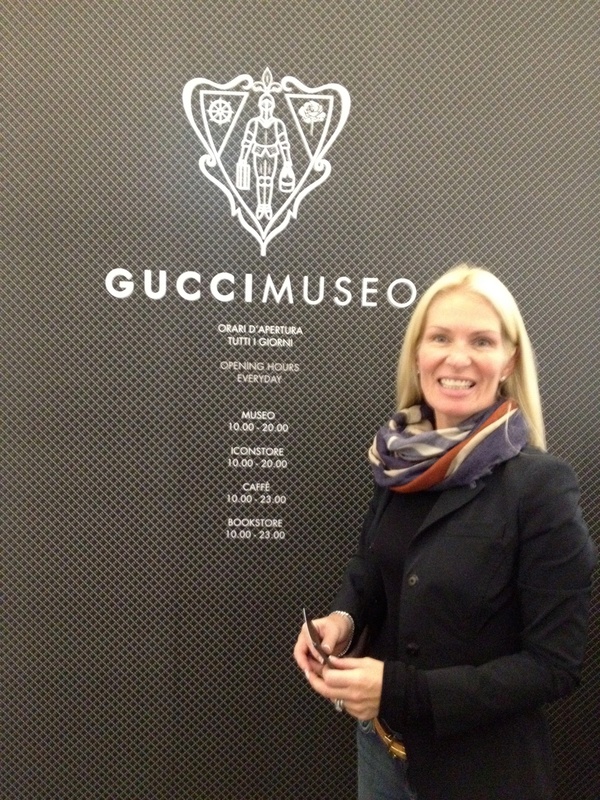 I was lucky enough to go to the Gucci pop-up museum (museo in Italian – bad pic, but can you tell how ridiculously happy I am to be there? ), in Florence in November, and can attest to two facts, Gucci is a design house obsessed with horse bits, and Guccio Gucci was his real name! Piper Jaffray held its 32nd annual Consumer Conference in NYC on June 6th, and three major retail powers, Nordstrom’s, Urban Outfitters and Abercrombie & Fitch were present. What is clear and present on these CFO’s and CEO’s minds is VERY interesting, namely the internet. Nordstrom is a 110 year old company and had 10 million customer names that they could contact, up until last year. That is when Nordstrom‘s bought Hautelook (an online invitation only pop-up sale sight), which brought Nordstrom an additional 4 million names. Nordstrom, a 110 year old company. Hautelook, a 5 year old company. Impressively effective accumulation in just 5 years! All three companies stated that the focus for growth was not strictly directed to bricks and mortar stores, but rather that internet sales figures drove most expansion decisions. The relationship between Fashion and Finance keeps me riveted! This entry was posted in Fashion, Finance, Magazines, Media, mens fashion, Shopping, Technology, Travel, Uncategorized and tagged Abercrombie & Fitch, CFDA, Consumer Conference, Firenze, Florence, Gucci, Gucci Museo, Gucci Museum, Guccio, Guccio Gucci, Italy, Nordstrom, NYC, Olsen Twins, Piper Jaffray, The Row, Urban Outfitters, Veuve Cliquot by reversecommuter. Bookmark the permalink. That is so cool! Thank you x2!